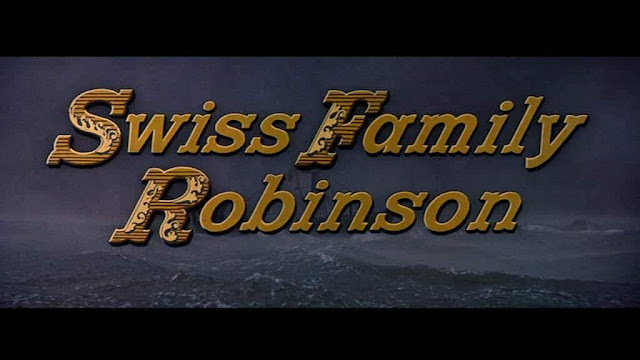 Swiss Family Robinson was one of the all time classic family films produced by Disney. 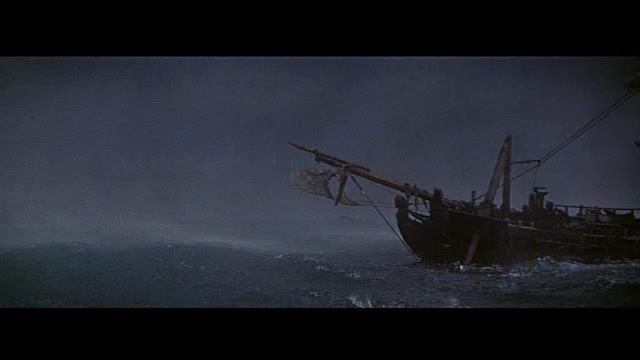 I saw it as a child on a re-release in the cinema. It was one of the blockbusters of its day. 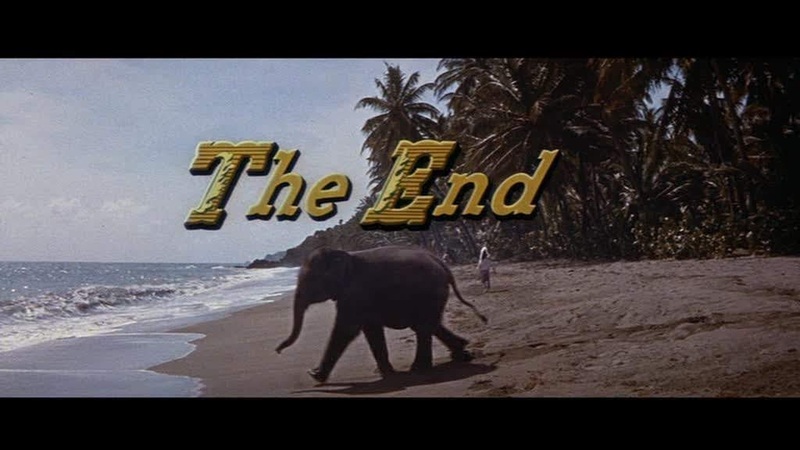 Looking at it recently for this blog I was struck at the treatment of the animals in the film. 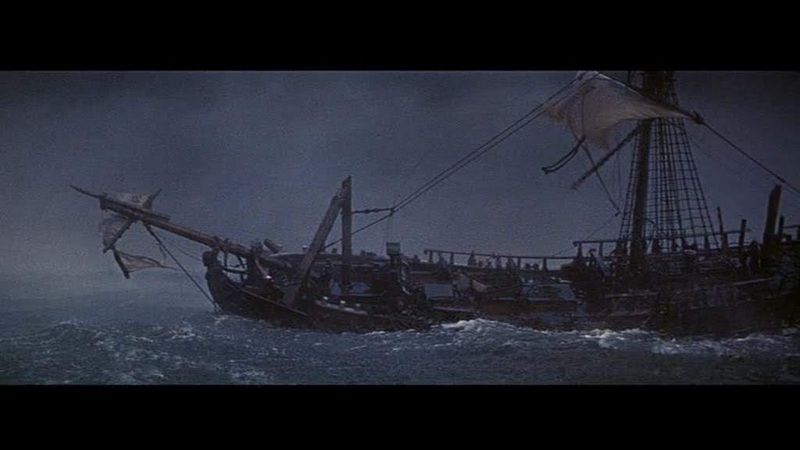 Things certainly have changed since then and in this case, for the better. 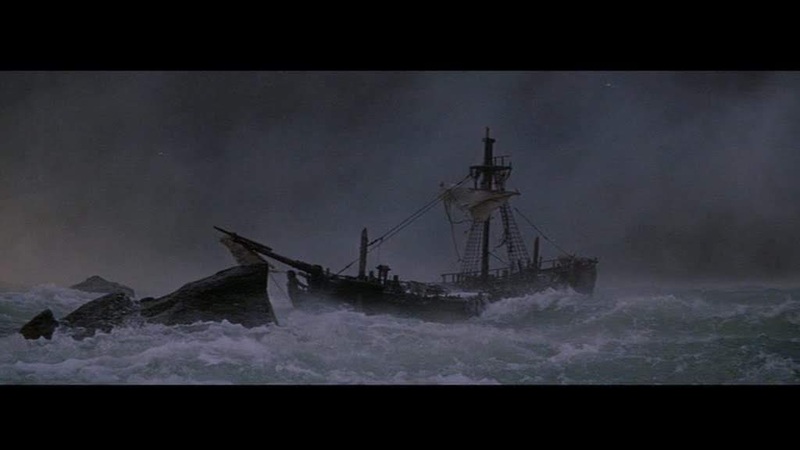 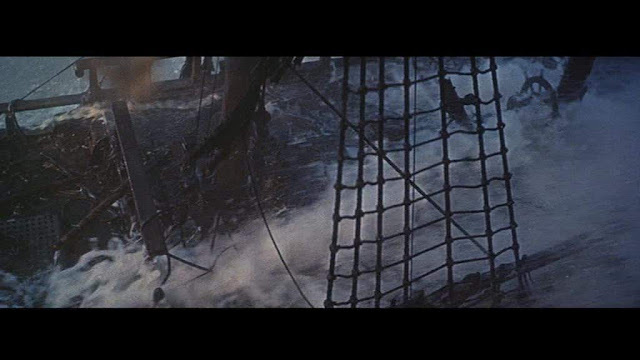 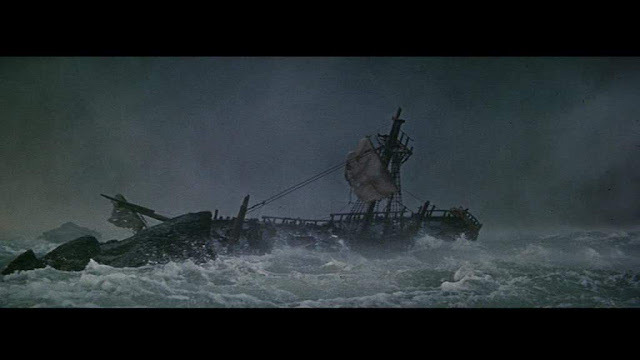 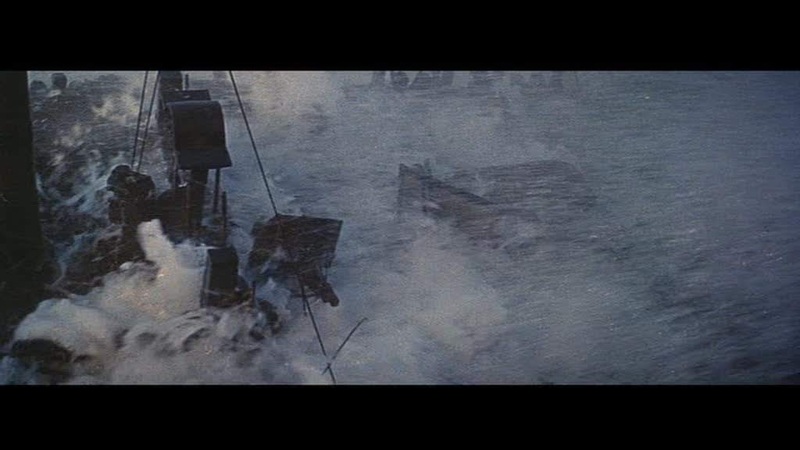 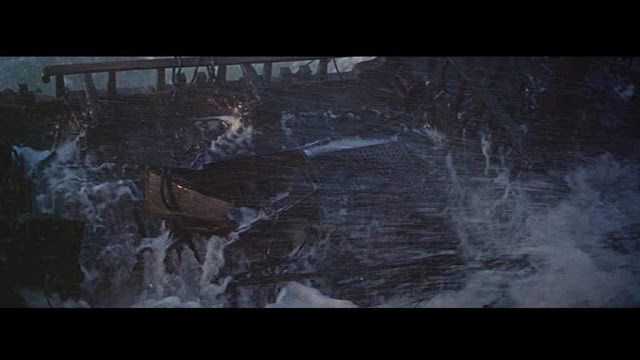 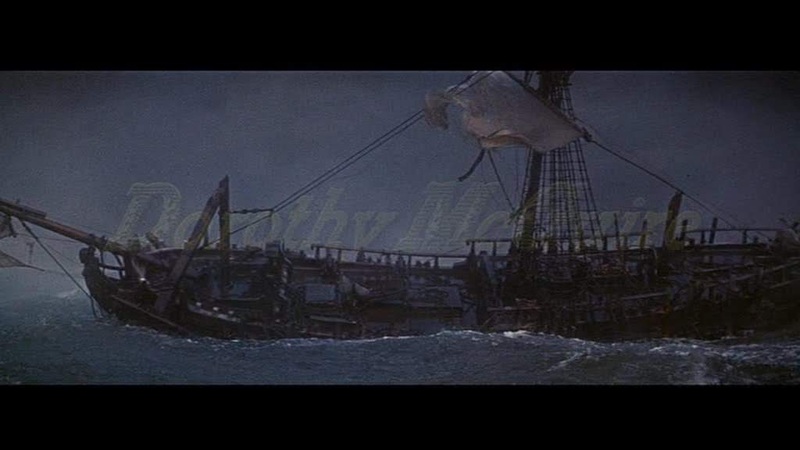 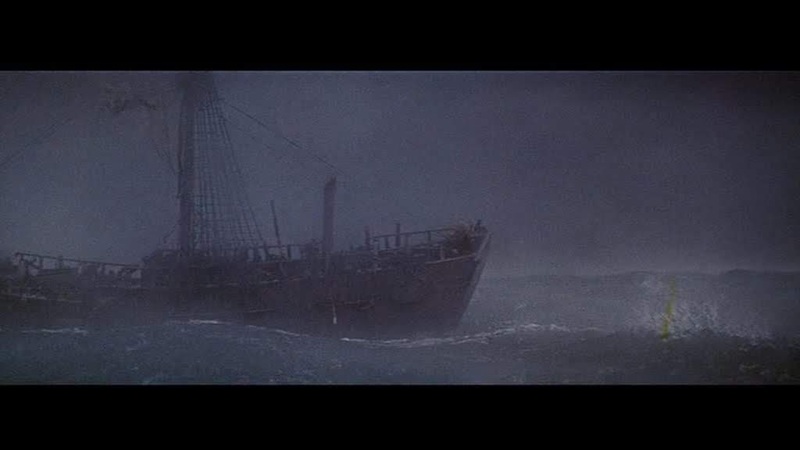 The miniature ship sequence in the film is short but very well shot. 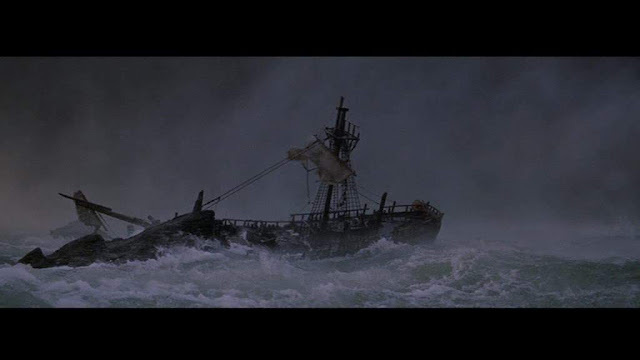 Even in the close ups, the model and the white water look very convincing which is an uncommon achievement for model ship shots. 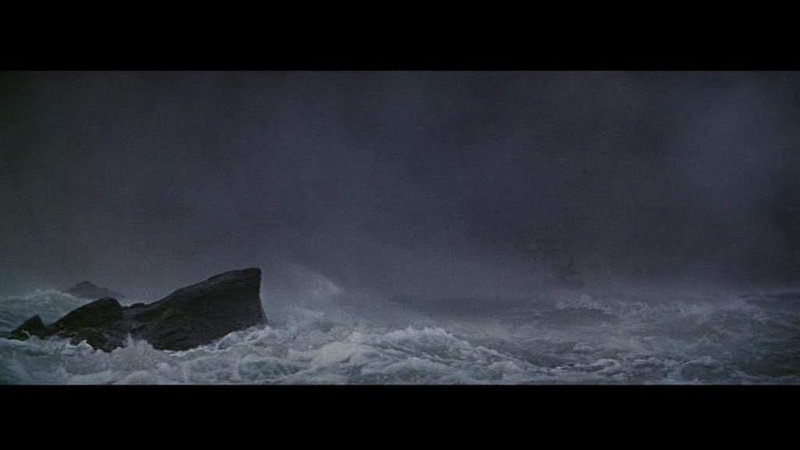 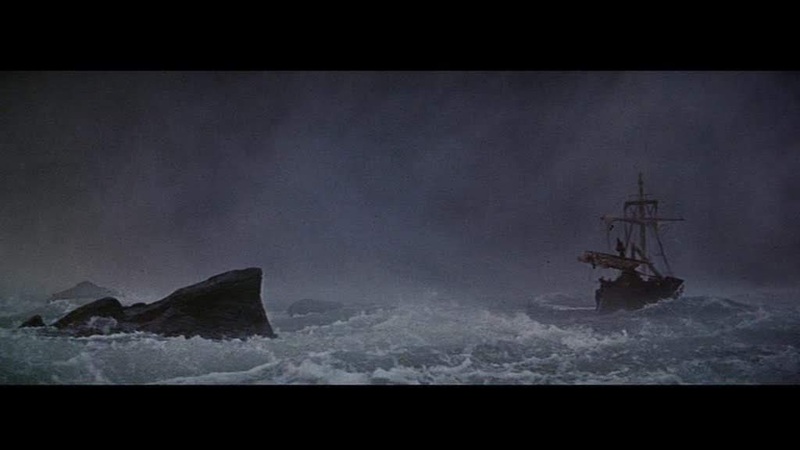 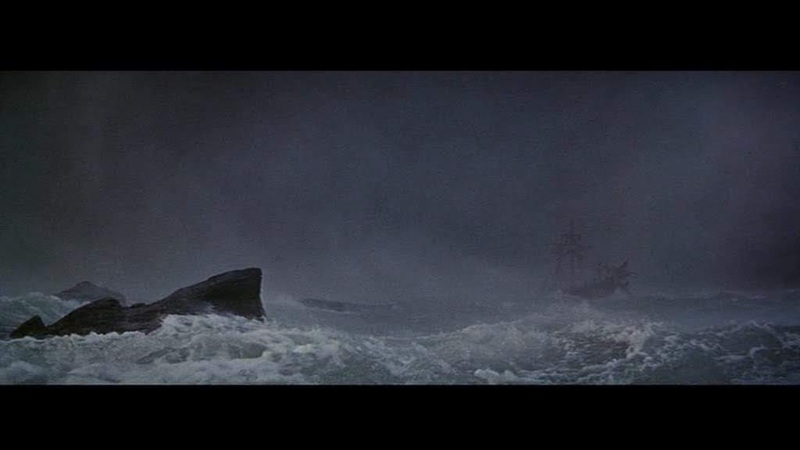 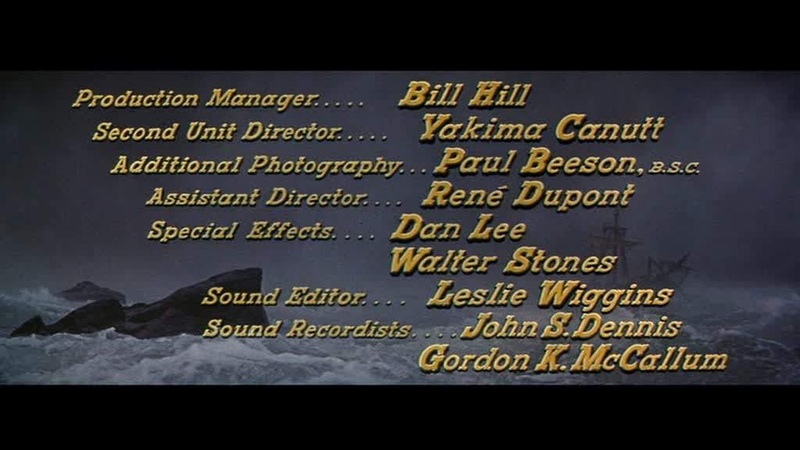 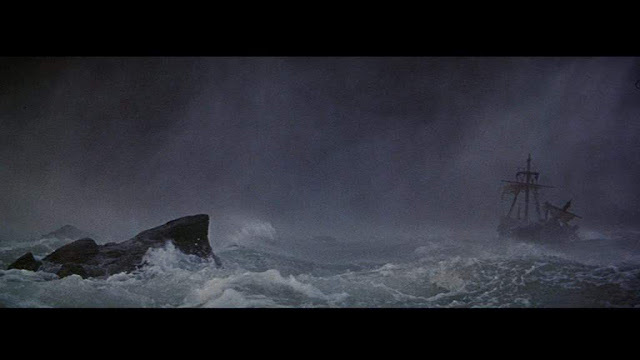 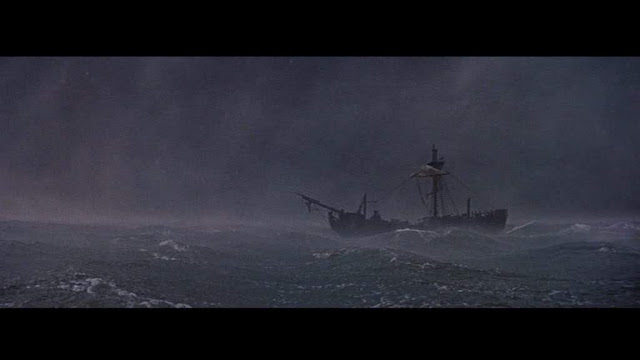 Peter Ellenshaw supervised the model ship in a storm shots which go under the titles at the start of the film. 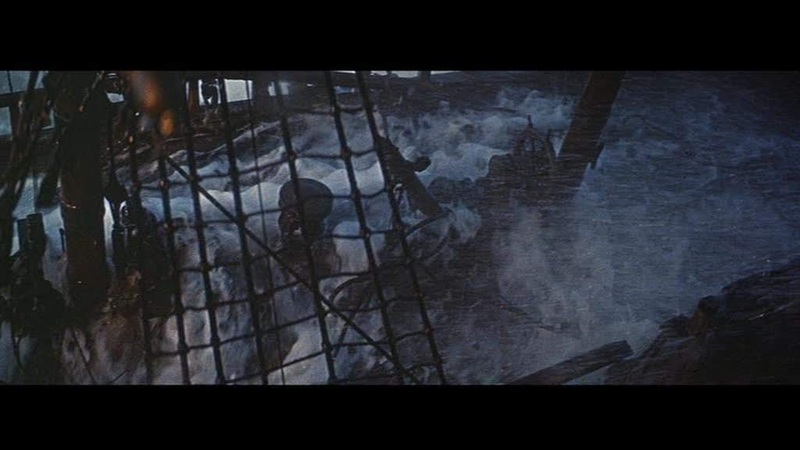 They were shot over a two week period in England before moving on to Tobago where the rest of the film was shot. 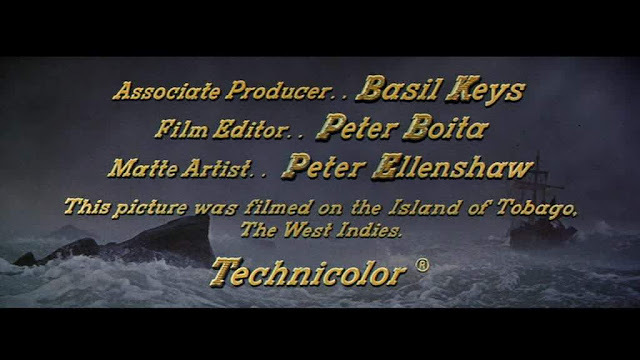 There is a very informative documentary about Peter Ellenshaw and his work on youtube and part 5 covers The Swiss Family Robinson.